The Katalys Crew has been together for two years. And Although the band is relatively young, in terms of years together and also in age (range from 21 ? 37), the collective years of experience in playing music in Jamaica, have allowed each member to embrace the mission of heightening the consciousness of self and inculcating the very essence of cultural identity through the creativity and dynamism of reggae music. With this insight, the Crew sees themselves as an Agent for Change, a motto which supports the mission of KatsJam Records, to positively transform the minds of many through the unique language of reggae music. The talent of each member was crafted and honed in the church, but for most musicians, there is usually a thirst for new experiences so the quest to explore other dimensions must be embarked upon. The church provided this solid foundation and positive God given values that the Crew needed and to this day, understands as the core ingredient for whatever horizon they explore. Paul Barclay (Bassist), the founder and leader of the band, having recalled his love for chemistry at high school, adopts the meaning of the one word that seemed to have left an indelible mark on his mind: ?catalyst' ? an agent which has the ability to instigate change without itself being transformed. His dream was to utilize music as the springboard for change without loosing the essence of its message. As a result, ?Katalys? was born. Johnny Clarke (Drummer), a founding member, has been in discussion with Paul for over 10 years about the possibility of forming a duet to produce and accompany the various artistes, emulating positive characters such Sly and Robbie, and Steelie and Clevie. Garnet a noted keyboard player in the gospel arena was recruited after our first stint together of accompanying Abijah in Browns Town in April 2001. At this occasion, the name Katalys Band was used for the first time. Courick, one of the brightest young keyboard players in Jamaica at present, joined the band during the 2003 National Gospel Festival Finals and has proven to be an excellent team-player. As the only local band that performed during the Hopeville Tour of Jamaica, in February 2003, where international artistes such as Kirk Franklyn, Yolanda Adams and Donnie McClurkin were the main acts, Katalys took a new direction and featured a DJ/Singer. The sensational, conscious entertainer R.A.D.I.C, which means ?Righteousness And Divinity In Christ', was the featured DJ/Singer. He has released singles such as ?Riding High', ?A Who? ', ?Let Go, Let God' on the Katsjam label. Katalys encountered a young singer with immense talent, Wayne Buchanan aka J.A.I. (Jesus And I), and decided to have him upfront with R.A.D.I.C. as the lead singers for the band, a combination that has proven to be very successful. J.A.I. has released three songs namely ?God's Mercy', and ?Can't Take My Lord' on the Marjohn label. Patrice & Nadine joined the group as harmonizers during the 2003 gospel festival tour of the island and has been excellent support both on stage and in the studios. The members have been associated with well known artistes such as Ernie Smith, Papa San, Judy Mowatt, Luciano, Carlene Davis, just to name a few and more recently, was the backing band for the 2003 JCDC /National Gospel Festival Finalists for the entire season. The Katalys Crew is the resident band for ?First Sundays Unchained? held every first Sunday at the Life of Jamaica Auditorium. The event features artistes such as Abijah, Warrior King, George Nooks, and Ken Boothe. This is a charitable venture to promote education in the prisons of Jamaica. 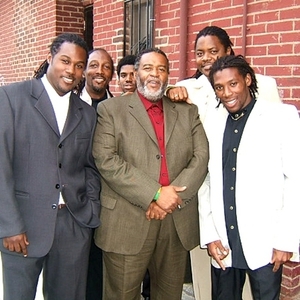 In July 2003, the band was showcased at the Caribbean Championships for the Performing Arts, which is an American organization that seeks to identify talents throughout the Caribbean. The band was awarded a gold medal and the opportunity to enter the world championships which was scheduled for October 2003 in Los Angeles, which unfortunately, the band was unable to attend. The band recently completed the recording of its debut semi-live album, entitled ?Open your eyes'. This will be released in the first quarter of 2004.